Preserving the health of the mother is of critical importance in maintaining the health of a family and a community. 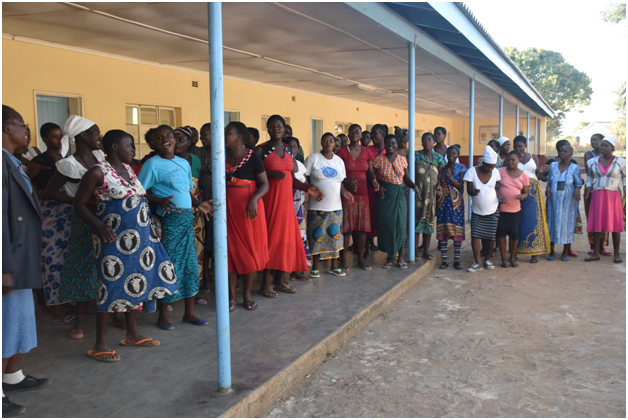 Cervical cancer is the largest cause of death from cancer in women in Zimbabwe. This striking prevalence is due to the lack of widespread screening through Pap smears, as is the case in Western Europe and the US. 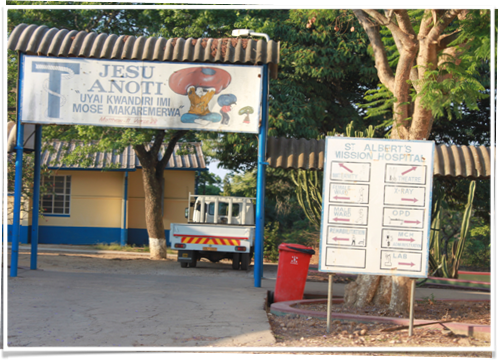 The cancer screening project we have initiated in collaboration with two hospitals in Zimbabwe (St. Albert’s Mission Hospital, stalbertsmissionhospital.org, Karanda Mission Hospital, www.karanda.org) is based upon the technique termed Visual Inspection with Acetic Acid and Cervicography (VIAC). This technique (VIA) is endorsed by the World Health Organization as an effective, inexpensive approach to reducing the incidence of cervical cancer in under-resourced nations. The test involves application of a small amount of dilute acetic acid to the cervix (harmless and painless), followed by inspection to determine whether a well demarcated area of white color can be seen, indicative of a pre-malignant or malignant abnormality. The addition of cervicography (which refers to photographing the cervix after the application of 3% acetic acid) is a quality assurance measure that enables nurses to take digital photos of the VIA test result, transmit them to a laptop, and have the images checked by a skilled gynecologist. Worldwide, tens of thousands of lives have been saved and illness prevented through detection of pre-cancerous abnormalities. 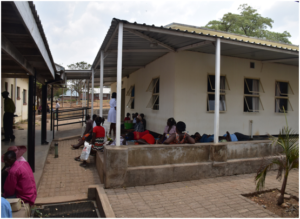 The Zimbabwean Ministry of Health fully supports this initiative and is hoping to extend such programs throughout the nation, but their efforts are severely limited by the absence of resources. The St. Albert’s cancer screening program commenced January 1, 2014 with indispensable assistance of a three-year grant from the Sarita Kennedy East Foundation. 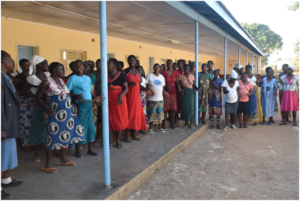 The grant, administered by Better Healthcare for Africa (BHA), has enabled the hiring and training of nurses to perform VIAC, provide cervical cancer education to women who come for screening at St. Albert’s and to women (and men) in villages within the hospital’s catchment area. The fundamental premise of this cancer-prevention program is that identifying and treating pre-malignant lesions will prevent full-fledged cervical cancer from developing. Judging by the data we have seen this goal is being realized. 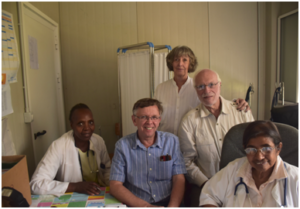 An additional benefit of the program is the discovery of other problems such as cervicitis, polyps, and schistosomal infections, which are relatively easily treated. Since its inception, through June 30, 7950 women have been screened, 356 have been found to have VIAC positive lesions. 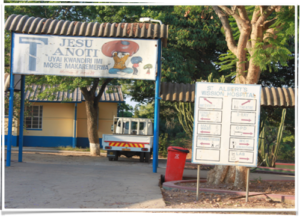 Eighty-one lesions suspicious for invasive cancer have been identified, and following confirmation by biopsy, many underwent curative hysterectomy at St. Albert’s or were sent to the university hospital in Harare for definitive treatment (surgery and radiotherapy). Sadly, a large number were too far advanced to receive any treatment. Of the 356 cases with VIA positive lesions but not suspicious for cancer, most could be treated by removing the affected area using simple office-based techniques. The women were asked to return in 6 weeks and then one year for follow-up visits. The program’s noteworthy accomplishments include expaning the educational and screening program to rural clinics staffed by St. Albert’s to include monthly VIAC screening supervised by St. Albert’s staff. 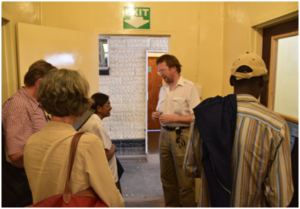 After procuring a second grant from the Payne Foundation and subsequently the Sarita Kenedy East Foundation, we have initiated a cervical cancer screening program at the Karanda Mission Hospital near Mount Darwin, Zimbabwe, under the direction of Drs. Paul Thistle (shown below leading a tour of the facility). Patients queuing up to be seen in clinics at Karanda. 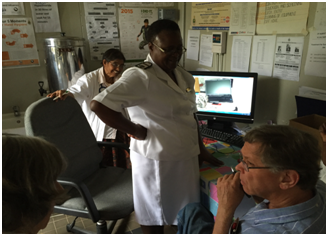 During the initial 18 months of operation of the screening program, 2,095 women have been screened. Approximately 10% of all HIV positive women have been VIAC positive (the HIV positivity rate is 10%) and 4.8% of those who are HIV negative. Fifty percent of women found to be VIAC positive are treated immediately or shortly after having had a positive test. Here too we are confident that the program is saving lives and reducing suffering from cancer. As of July 2017 the combined programs at St. Albert’s and Karanda have screened more than 10,000 women. Of these, approximately 500 have been found to have VIAC positive lesions, and nearly half have been treated with either cryoablation of LEEP at one or the other of these facilities. For a substantial number of these women, cervical cancer will have been averted.